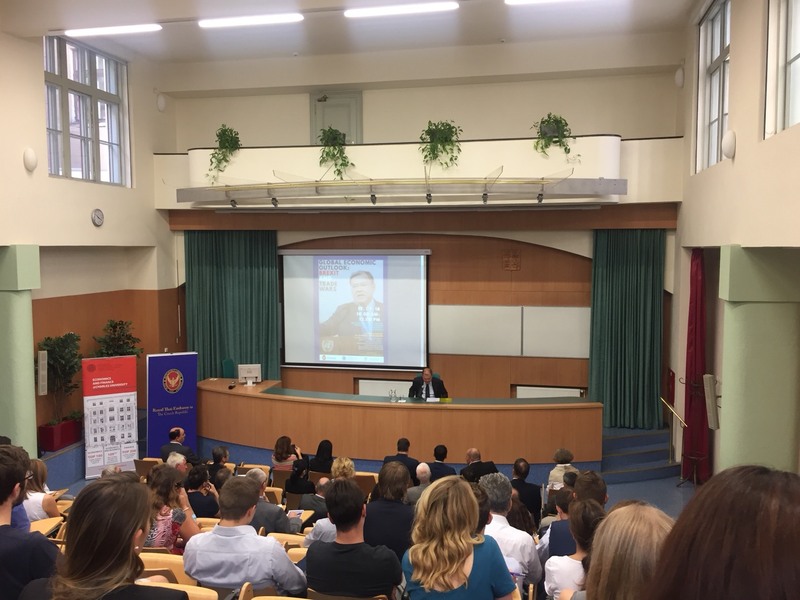 On 12 September 2018, the Royal Thai Embassy, together with the Ministry of Foreign Affairs of the Czech Republic and Institute of Economic Studies, Charles University, organised a Special Lecture on “Global Economic Outlook: Brexit and Trade Wars” by Dr. Supachai Panitchpakdi at the Institute of Economic Studies, Prague. 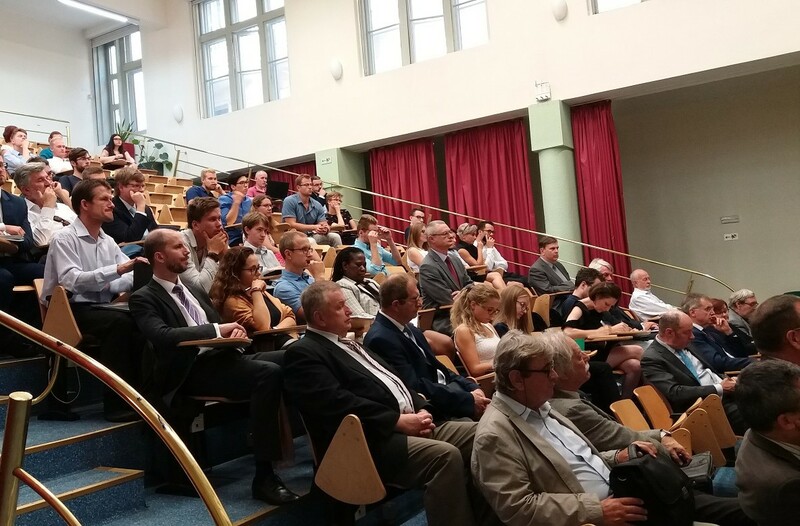 The Lecture was opened by His Excellency Mr. Martin Tlapa, Deputy Minister of Foreign Affairs of the Czech Republic. 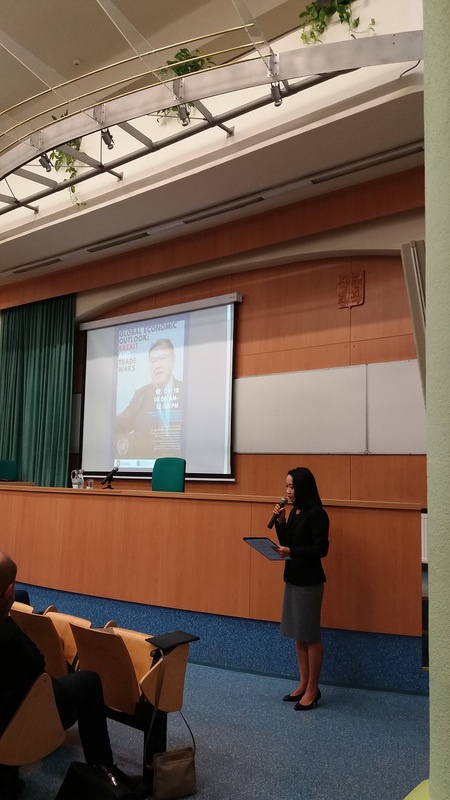 Dr. Martin Gregor, Director of the Institute of Economic Studies, gave a welcoming remark and Ms. Nattanipa Burusapat, Charge d’ Affaires of the Royal Thai Embassy, gave an introductory remark. 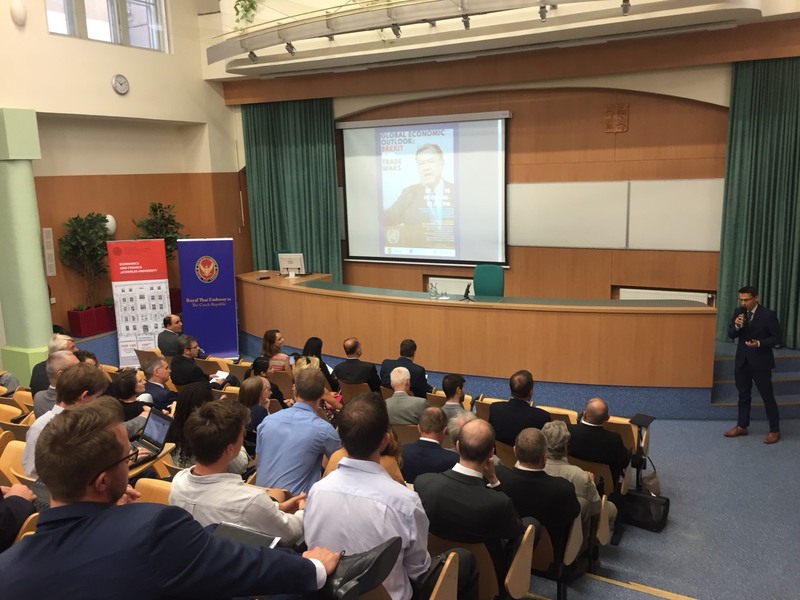 There were more than 70 people attending the Lecture from diplomatic corps, academia, private sector and media in the Czech Republic. 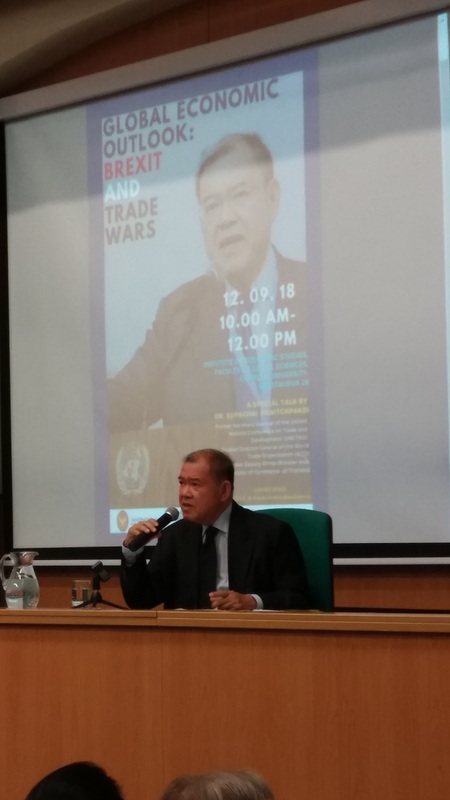 Dr. Supachai Panitchpakdi was Director-General of the World Trade Organisation (WTO) between 2002 and 2005 and served two terms as Secretary-General of the United Nations Conference on Trade and Development (UNCTAD) between 2005 and 2013. He was also Deputy Prime Minister, Minister of Commerce and Deputy Minister of Finance of Thailand in the 80s and 90s. 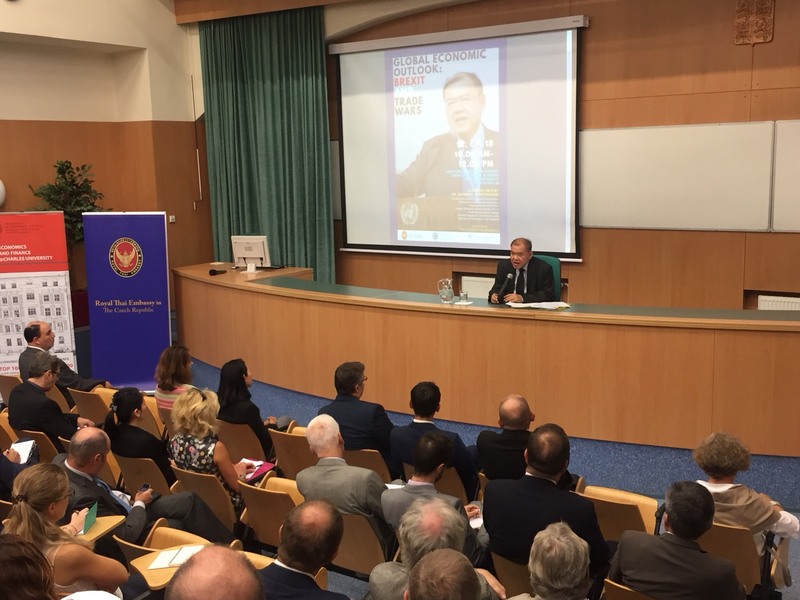 Dr. Supachai Panitchpakdi visited the Czech Republic as well as Hungary and the Republic of Austria during 8 – 16 September 2018 upon the joint invitation of the Royal Thai Embassies in Prague, Budapest and Vienna.